Before 1950 power system were often without neutral grounding. Such system had repeated arcing grounds, insulation failure and difficult earth fault protection. Every phase has inherent distributed capacitance with respect to earth. If earth fault occurs on phase B, the distributed capacitance discharges through the fault. The capacitance again gets charged and gets discharged. Because of this sever voltage oscillation is reached in healthy phases. These voltage oscillation causes stress on insulation of connected equipment. Voltage phasers V3 can be resolved in the direction of VN and in direction perpendicular to VN as V3Cosθ and V3Sinθ. As seen from equation -07, in unearthed system ground fault current is totally dependent on capacitive current returning via the network phase-earth capacitances. This is the reason for sever voltage stress in healthy phases of ungrounded system. 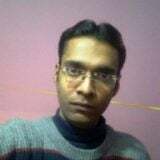 Since there is no return path available for fault current in ungrounded system so detection of earth fault current is difficult. This is other disadvantage of ungrounded system. Some continuous process or system and essential auxiliaries where single phase to ground fault should not trip the system. Unearthed system experience repeated arcing grounds. Insulation failure occurs during single phase to ground faults. Earth fault protection for unearthed system is difficult. Voltage due to lightning surges do not find path to earth. In order to overcome the above mentioned technical and operation issues the concept of system grounding was introduced. System grounding is connecting the neutral of system to earth. At every voltage level neutral of transformer is considered as neutral of system. In a system without neutral earth (refer Figure 1), phase to earth voltage phase-1 and phase-2 rises to 3times phase to phase voltage Vrms during single phase to earth fault on phase 3. In a neutral earthed system the voltage ofhealthy phase rises to Ce times Vrms. 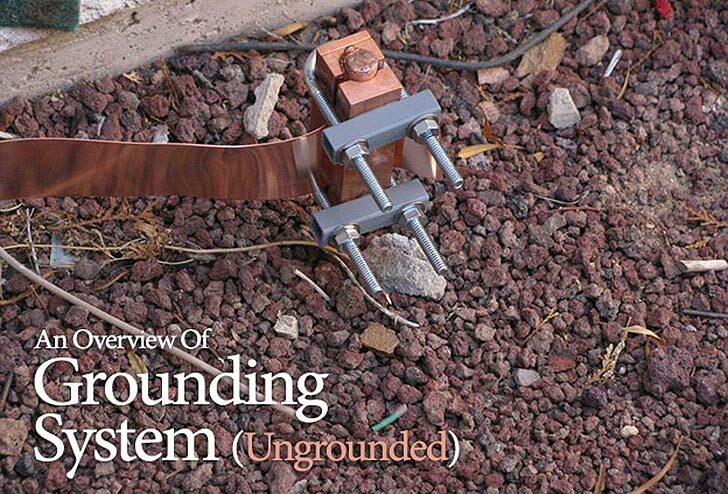 information about ungrounded system was nice.apart from that information about system grounding was not clear.give complete information about that topic with diagrams so we are easily understand the concept.thank u.
I met ungrounded systems when i was commissioning engineer. There was 11/0,4 kV transformer with ungrounded 0,4 kV side. The cable to the ciruit breaker not too long, so capacitive earthing current not too high. What is the guaranty , the secunder voltage is below 1 kV to the earth? It could be possible 4-5 kV to the earth. Such kind of systems are working. Something is there what i don’t know. Asif, I am practicing Electrical system auditor. Your articlke is very good and informative. Pl. follow by articles giving comparative advantages of diffrent grounding systems. Keep it up ! Thanks for the explanation. I would like to know if there is effective protection method for unearthed system with high capacitance or a filter for EMI at the system?? Thanks, please give more explanation on effective and non effective grounding system. co-efficient of earthing is more than 80% in effective grounding and greater than 80% in non effective grounding system. Great overview Asif! Looking forward to second ‘Grounded’ part! Use search box on top bar. Congratulations, as always the content, photos and presentation of this website are outstanding. In this case when I saw the picture I asked “What would be the result of a electrical resistance testing by the four-point method to that connection?” Who knows … Greetings.